Here is a very very short list of sites I have come across on the web – used some added others frends have suggested – they’re here for you to use. Tweet, Share, and Like this page! The number of sites out there with great applications you can use to improve your Twitter capability and reach increases every day. Here is a short list of interesting twitter sites – enjoy ! Twidium – Clever Mass Following(*) <–NEW!! Design Your Own Twitter Background! (*) <–NEW!! Now you can personalize your Twitter background like never before. The tool below will help you create free Twitter backgrounds that have the same look and feel as those done by professional graphic designers. It’s easy to use, and best of all, it’s Free! Give it a try! TwitrBackgrounds.com, the premier site for Free & Custom Twitter backgrounds, images & Designs. We have the largest selection of free Twitter backgrounds & graphics online. Each twitter wallpaper is created by our expert Photo Shop designers in house. If you want to make a stronger impression or brand yourself or your company, have our world class artists design a completely custom Twitter background. the professional twitter client: tweet the love ! 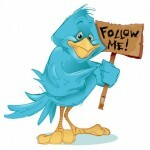 dlvr.it : feed your blog to twitter and facebook (*) <–NEW!! How much is your Twitter profile worth ? Twitter + History: Add your Twitter backlog feed to your favorite calendar application and browse through your personal Twitter diary, making your Twitter history both fun and useful! The Standard for Online and Internet Influence. Plug in your Twitter username and discover your influence. The scores range from 0 to 100 with higher scores representing a wider and stronger sphere of influence. Klout uses over 25 variables to measure True Reach, Amplification Probability, and Network Score. The size of the sphere is calculated by measuring True Reach (engaged followers and friends vs. spam bots, dead accounts, etc.). Amplification Probability is the likelihood that messages will generate retweets or spark a conversation. If the user’s engaged followers are highly influential, they’ll have a high Network Score. How big are your Twitter Nuts ? What the f#@& is everyone swearing about ? ←Conviene Avere un Sito Web od un Blog ? Devo Passare a WordPress ? Great collection of links you have here. My wife loves using Twitter and I think she will enjoy checking these links out. Thanks for the post! excellent resource for all level of tweeter user. Being new at tweeting it is going to help me start. A little overwhelming!